#346519 25-05-2014 12:46 GMT+3 ч.
Как разведется - точно на главную, поздравим от души! Ну и с ДР заодно. #347312 19-09-2014 07:54 GMT+3 ч. #347338 22-10-2014 23:17 GMT+3 ч. #347341 23-10-2014 07:41 GMT+3 ч. #347342 24-10-2014 07:13 GMT+3 ч. #347343 26-10-2014 18:09 GMT+3 ч. #347344 28-10-2014 21:16 GMT+3 ч. #347347 04-11-2014 23:29 GMT+3 ч.
Johnny Weir, Tara Lipinski, & Jewel! #347496 26-04-2015 18:19 GMT+3 ч. The sartorial splendor of NBC figure skating analyst Johnny Weir, including tiara/headband, furry bow-tie and short-cropped tux earned him Best Dressed at this year’s Nerd Prom. Olympians Tara Lipinski and Johnny Weir, who have become popular commentators for NBC's Olympic coverage, joined the peacock network for the Washington event for the first time and walked carefully on the red carpet. Lipinski said she was honoured to attend, and Weir said the entire spectacle was "pretty amazing." #347499 03-05-2015 11:23 GMT+3 ч. #347512 23-08-2015 13:10 GMT+3 ч. By TRUETT LEE VAIGNUER, JR. The presence of Johnny Weir, that fur clad two-time Olympic figure skater, has always been intriguing. He is one of the most recognizable athletes in modern times, and yet he can wear an evening dress to any gala and get away with it. Johnny Weir is a pop culture icon: the documentaries “Pop Star on Ice” and “From Russia with Love,” his reality show “Be Good Johnny Weir,” and tabloid controversies keep the public interested. With all this publicity it’s hard to believe Johnny Weir, the gay celebrity athlete known throughout planet earth, is an excellent reference to defend those young athletes that disclose their sexuality without much ado, only to continue on with their day-to-day routine. The idea for this article started a little over a year ago. In search of additional athletes for a research project I asked a few friends for help. One question was: Will there be any press? I begrudgingly told this contact that this was scholarly research on former male college athletes who are gay, and the subjects would not be identified. I assumed there would be no interest if there was no recognition. And lo – I was wrong. There was extreme interest to participate in the study and, to my surprise, a number of athletes wanted assurance their participation would be anonymous. But why this aversion, I asked. And the answer was not a modern scientific breakthrough nor was it hidden in the classic ideology of Freud. Un-dramatic at best, the universal answer was it’s not my personality. Phrases like “It’s not really me” and “I’d feel uncomfortable – it’s not like me to be the center of attention” kept coming up. And then I had a realization: It doesn’t have to be front-page news when an athlete comes out, and unless it’s that athlete’s true character, then chances are the coming out process might not be very positive. So let’s face it: Even with his obvious good looks and killer body, Weir is not traditionally masculine, nor is he the boy next door. It’s the boy next door that shies away from the flashbulbs, but the boy next door is strong. too. He, like Johnny, is true to his identity, just keeps life simple. 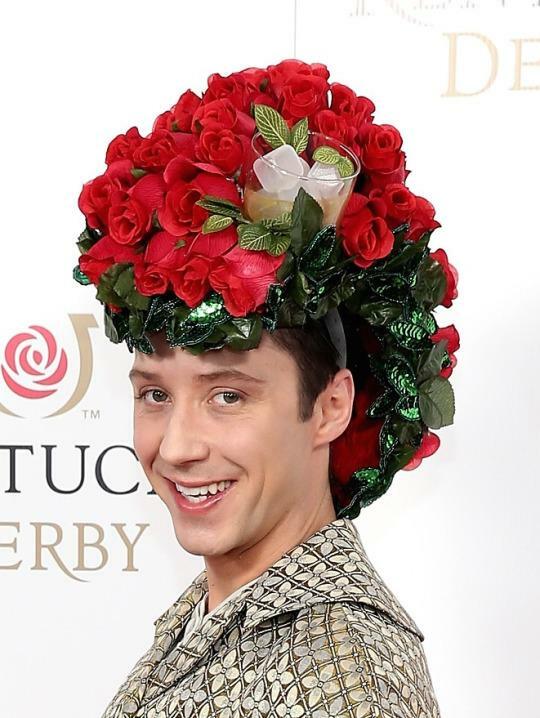 Johnny Weir, however, is anything but simple, and perhaps somewhat difficult to relate to, but that’s who he is. And that’s why we love him. Who else would be so bold as to tackle Russia, apologize for it, and yet skate alongside Russian champion, Evgeni Plushenko. So Johnny gets the press, paparazzi and fanfare, all with no apologies, yet so many others do not. And that’s OK. For every one Johnny Weir, there are probably a thousand anti-Johnnys out there, satisfied to be themselves, living life as an openly gay athlete void of the media. And if that is their truth then we need to celebrate it, right? Dr. Truett Lee Vaignuer, Jr. is an adjunct psychology professor and counselor at the City University of New York. He counseled drug addicts, homeless youth and the disabled population before working in higher education. He is researching a new book on the identity formation of gay athletes in the campus sports culture. #347526 14-12-2015 23:49 GMT+3 ч.
Здравствуйте, администраторы, ау, может быть вам нужны новые вливания?? что то на форуме полнейшая тишина? Если что мне бы хотелось попробовать себя в качестве модератора, раскрутить ваш сайт!! #347533 07-04-2016 03:26 GMT+3 ч.